For a few organised months last year I decided to track my spending in an app called Spendee. It allows you to allocate your spends into categories and then shows you a cute little graph and breakdown of how much you’ve spent in the month. You can set budgets and add incomings too. I was rubbish at this in December (I wonder why?! ), so I’ve been on it in January, documenting all my spends throughout the week. Unlike banking apps that auto categorise your spends for you (Lloyds / Monzo) you have to input your own spends in the app. This has its pros and cons. 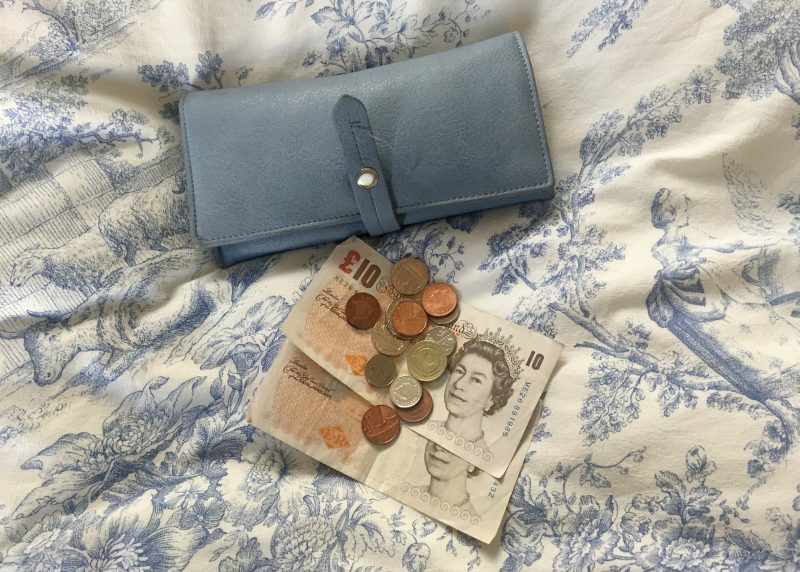 Cons – it’s easy to forget and miss things (hence my December troubles), plus it’s easy to ignore a big spending spree and pretend it didn’t happen (who would do such a thing!?). Pros – it really makes you hyper aware of your spends as having to add it in each time brings to life the cost of living (especially daaaawn south). Week of 14th – 20th Jan I spent just over £66 on my grocery shopping, coffees and lunches throughout the week. I bought lunch most days and I always have at least one paid for coffee at work! This amount does not include dinner out (Tues) or any of my paid exercise activities. So with this in mind I wanted to see if I could cut this down this week, by half. I spent around £33 in Sainsbury’s last Sunday which included food for my lunches and dinners plus a £4 tub of instant coffee to have at work. It’s funny, I think initially that £4 is a lot on instant coffee but in context of coffees from shops you can easily spend close to £3 on one single latte whereas Nestle promise to deliver 55 cups (barista style) in their 100g tub of Azera. Couple of confessions. Ate out last night because I went to the light show in Canary Wharf. Secondly – I don’t know if it’s very different to the coffee I have at home or the work hot water is gross but having instant coffee at work is bad. So bad. I had to give in at 10.45am and get a Costa. I failed on the first full day of my experiment (now the question is, what do I do tomorrow? Try again? Give up for good?!). I think that the cost benefit analysis here shows, that actually it’s well worth £2 whatever on a daily basis for that genuine happy feeling. As opposed to the grumpy feeling I get when I have instant coffee hah. Who knew it’d make such a difference eh?! Did well today, someone bought me coffee and ate my packed lunch and snacks. Hurrah! Had to buy £1 bag of salad to top up lunches. Spend confessions round two. Despite eating dinner left overs for lunch on Thursday I then I had dinner out. Which you might assume to be expensive? Oh no. Marie’s Cafe in Waterloo served up Tash and I, two starters, two mains (with rice), two waters and two peppermint teas for just £15 each. Bargain. By Friday I had run out of food for lunches (aside from those leaves I got on Weds evening). Headed to EAT in-between meetings. Meals out do add up fast, however, excluding those, during the week I only spent an additional £13 on salad leaves, coffee at work and Friday’s lunch – total for the week (on coffee, lunch and dinner at home) was around £20 less than the previous week – and that’s enough to fund a session at Barry’s! It’s very easy to spend money. Do you take packed lunches into work? What are you tips for saving money? Next Post I did it – Dry January complete!